It’s not Dennis Rodman’s job to negotiate the release of Kenneth Bae, the 44-year-old American missionary jailed in a North Korean detention camp for “crimes against the state,” according to statements made by the NBA legend after his most recent visit to North Korea. 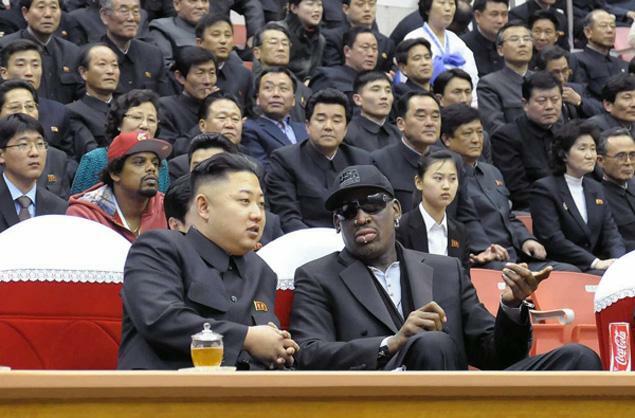 Dennis Rodman is the only American known to have met Kim Jong-un since he became the North Korean leader. This, combined with the nation’s alleged restarting of its Yongbyon nuclear complex, is indicative of just how difficult it is to decipher North Korea’s motives. Rodman visited North Korea at Kim Jong-un’s request for the second time this year after Pyongyang abruptly uninvited Robert King, the US special envoy on North Korean human rights issues, who was hoping to negotiate Bae’s release. In addition to dismissing King and likely reopening the Yongbyon nuclear site, this year North Korea has already announced the 1953 armistice that ended the Korean War invalid, declared the Korean peninsula in a state of war, and closed, only to recently reopen, the Kaesong inter-Korean industrial complex. These assessments may make the possible restarting of the Yongbyon nuclear complex and Kim Jong-un’s favoring of Dennis Rodman over official diplomats timely indeed. However, as always with North Korea, it’s hard to tell. If you are intrigued by anything you saw in this post or want to delve deeper into the declassified record on North Korea to help answer some of these questions, check out the decades of declassified documents on US- North Korean relations from Nixon to Obama on the National Security Archive’s website. I like to disseminate information that I’ve accumulated through the yr to assist improve group functionality.